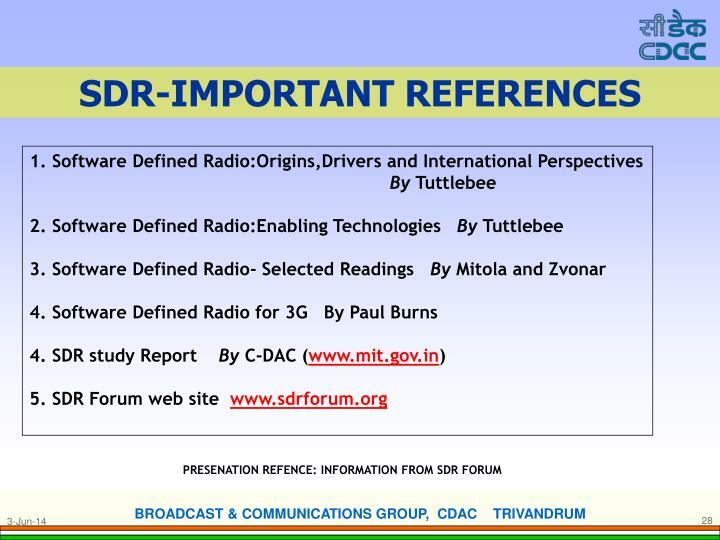 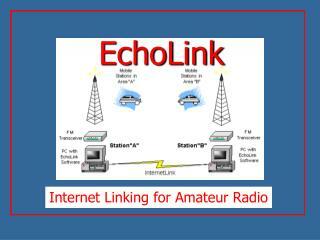 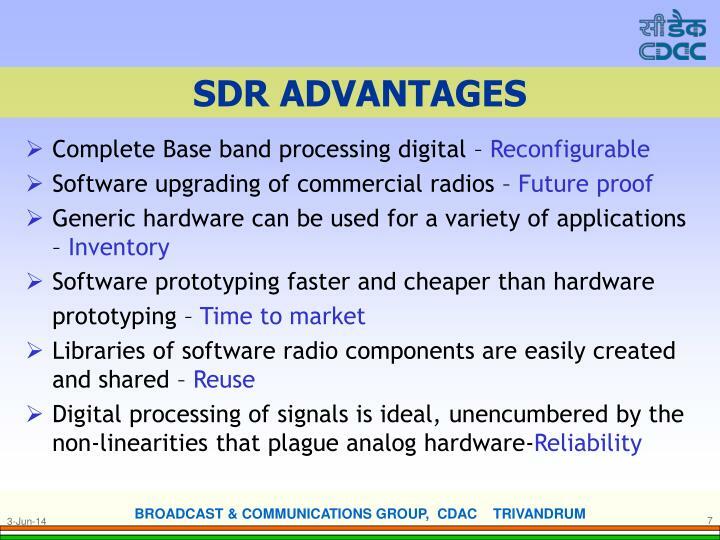 SOFTWARE DEFINED RADIO Technology Overview. 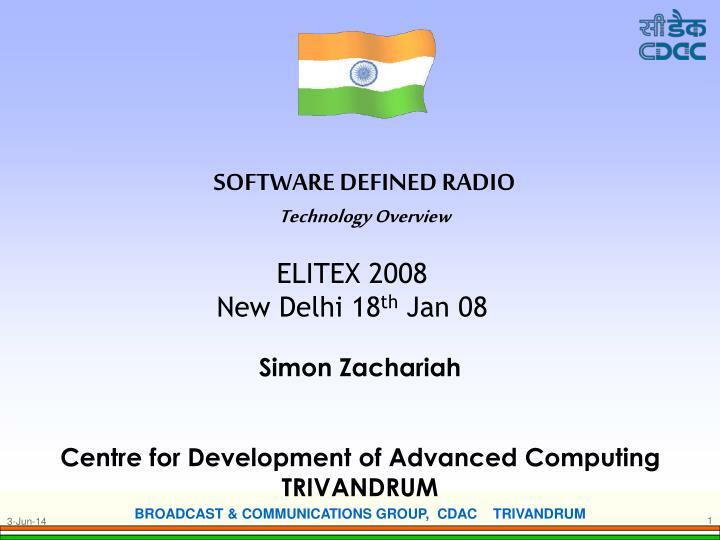 ELITEX 2008 New Delhi 18 th Jan 08. 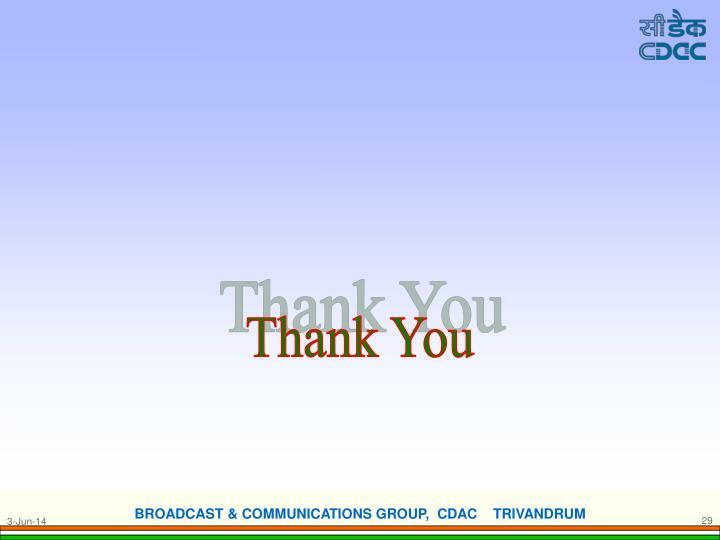 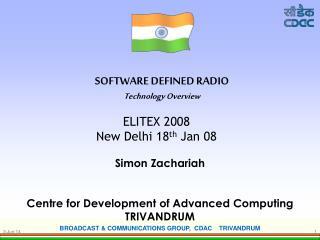 Simon Zachariah Centre for Development of Advanced Computing TRIVANDRUM. 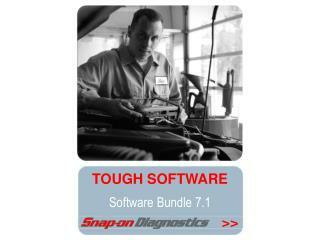 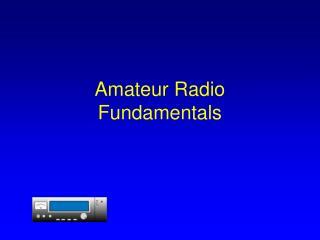 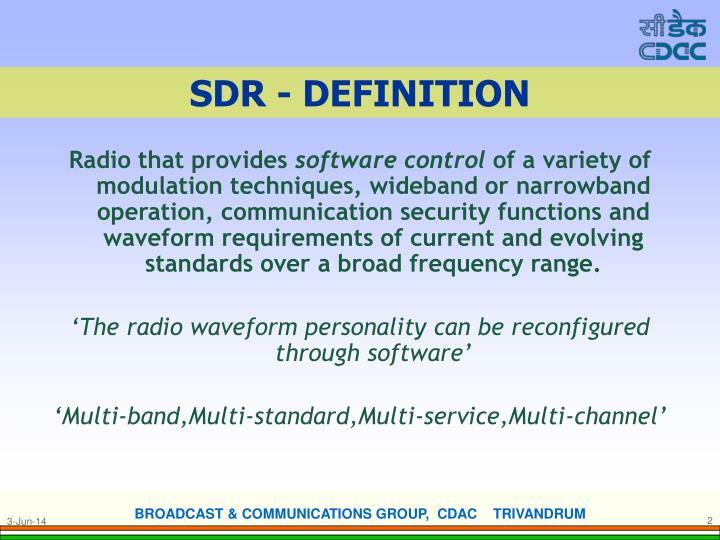 Radio that provides software control of a variety of modulation techniques, wideband or narrowband operation, communication security functions and waveform requirements of current and evolving standards over a broad frequency range. 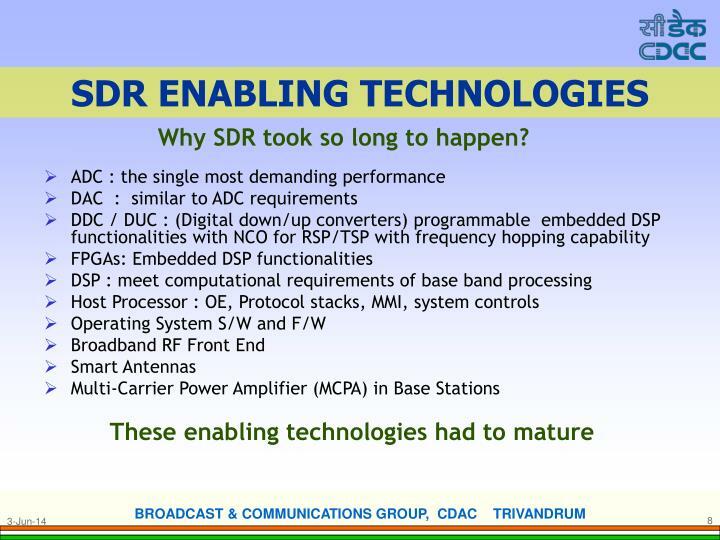 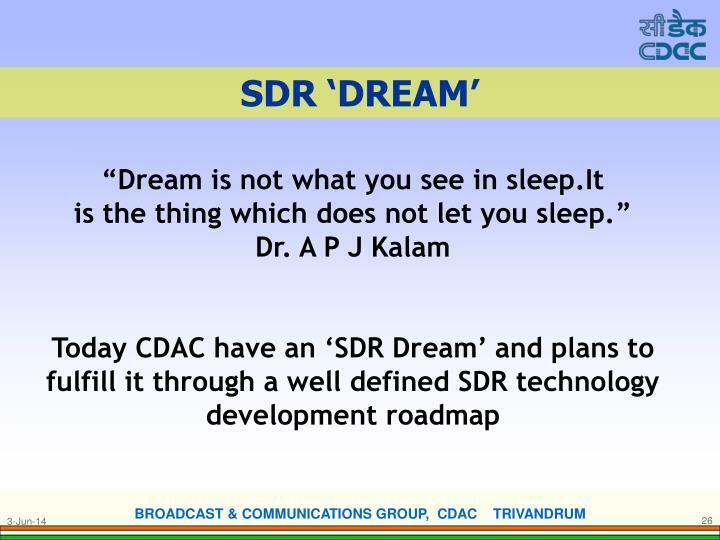 Why SDR took so long to happen? 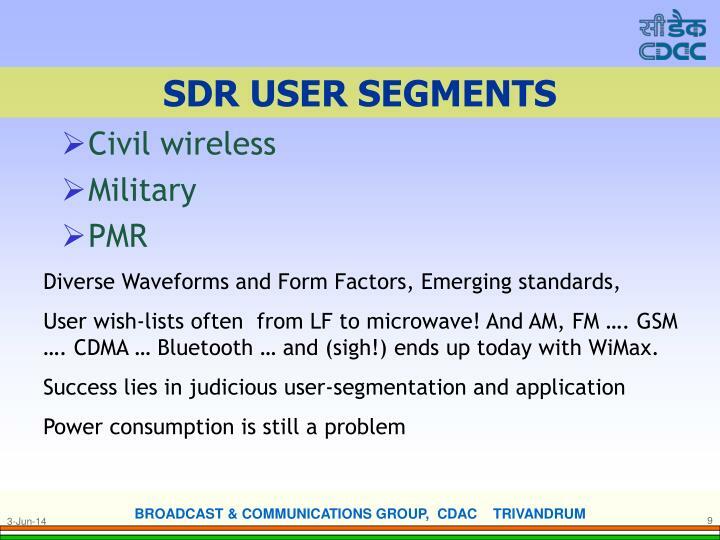 User wish-lists often from LF to microwave! 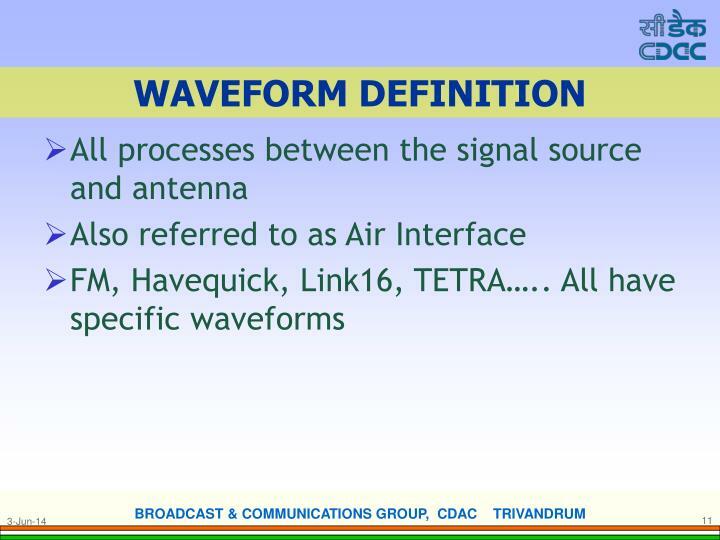 And AM, FM …. 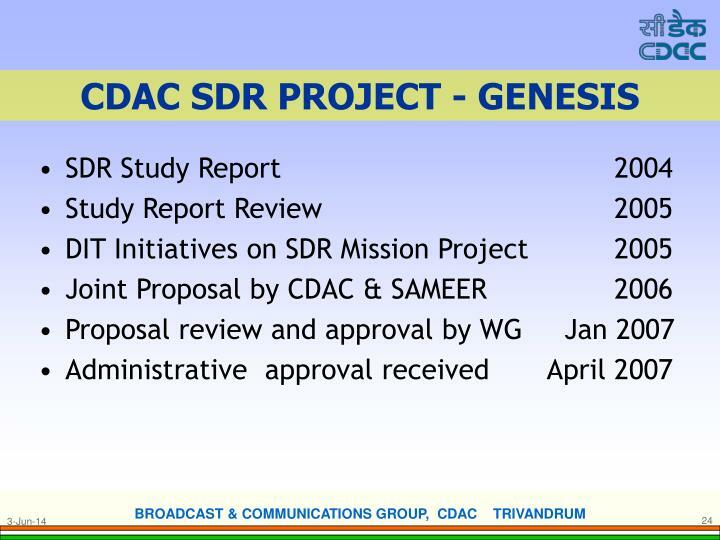 GSM …. 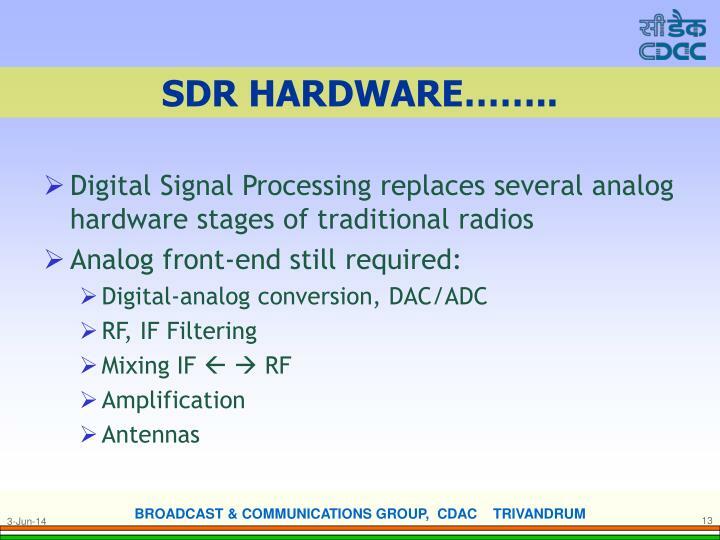 CDMA … Bluetooth … and (sigh!) 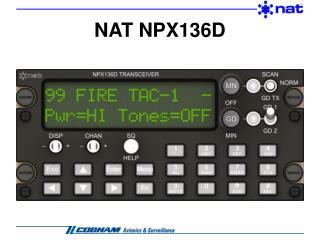 ends up today with WiMax. 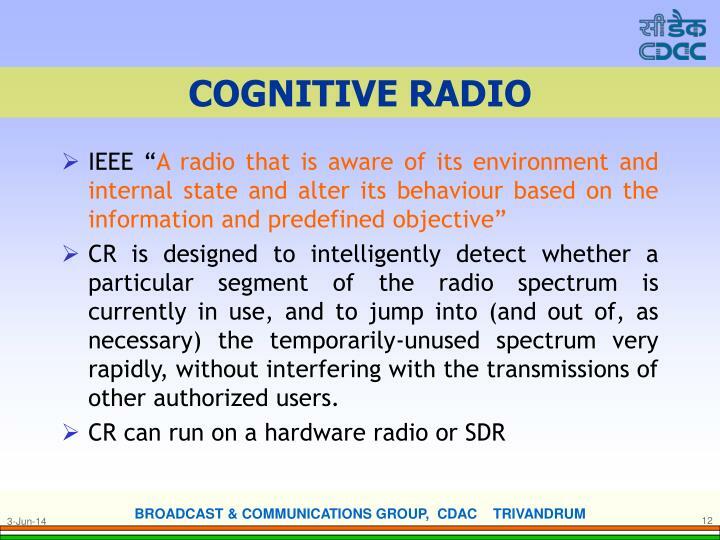 CR is designed to intelligently detect whether a particular segment of the radio spectrum is currently in use, and to jump into (and out of, as necessary) the temporarily-unused spectrum very rapidly, without interfering with the transmissions of other authorized users. 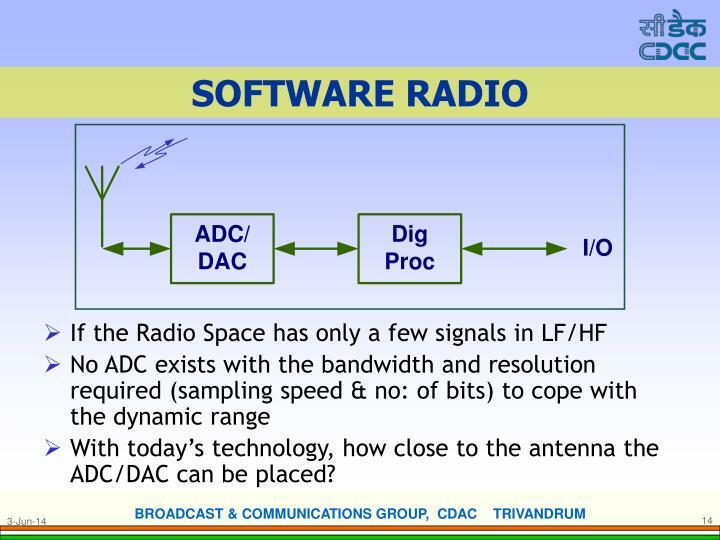 With today’s technology, how close to the antenna the ADC/DAC can be placed? 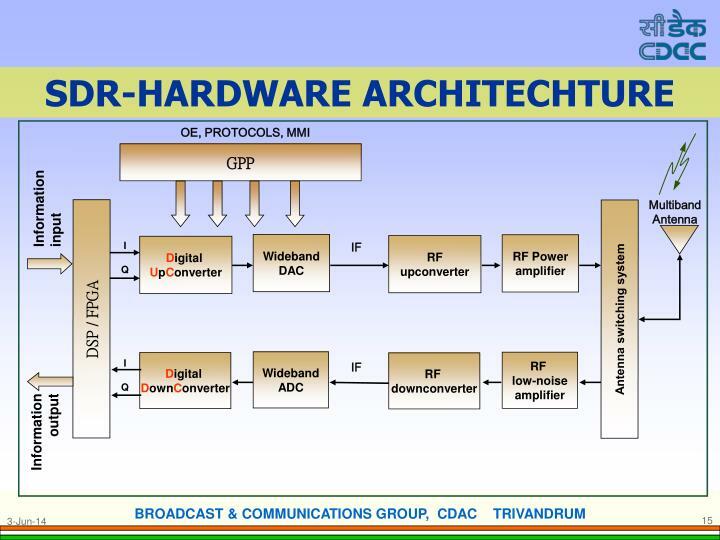 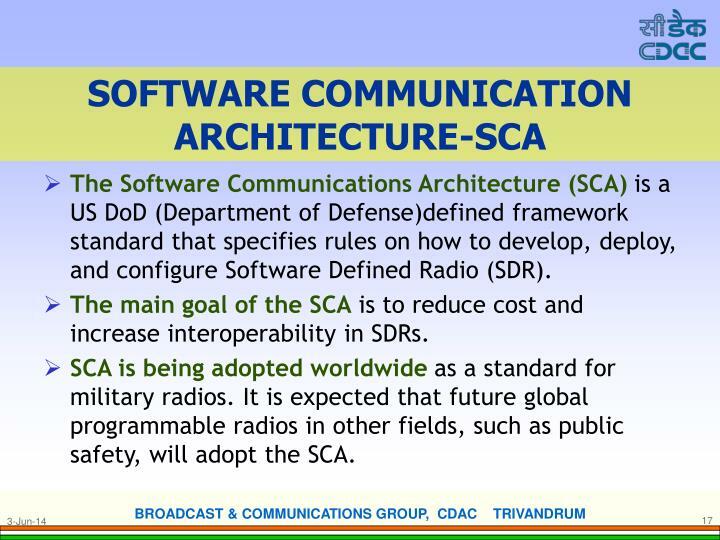 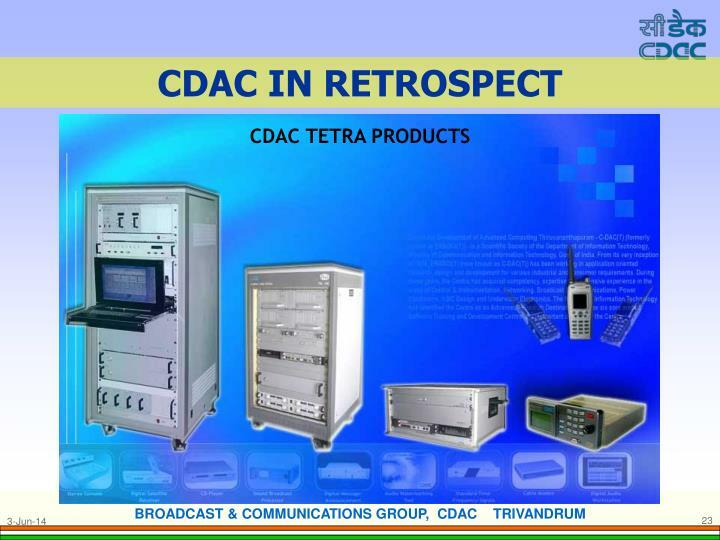 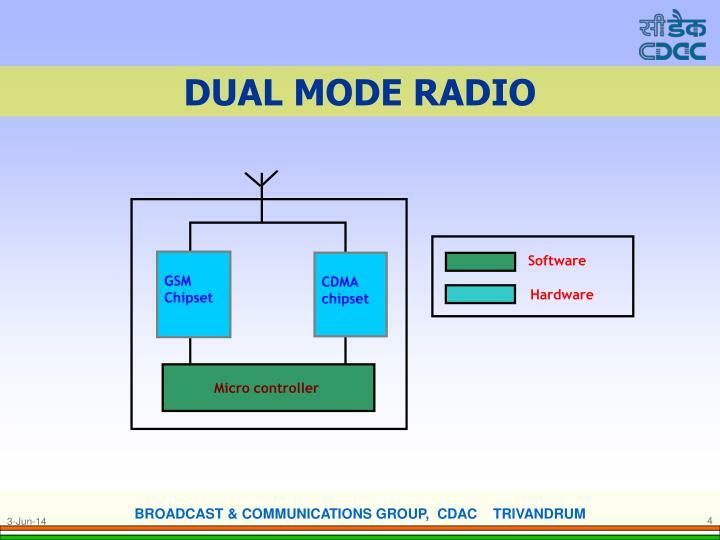 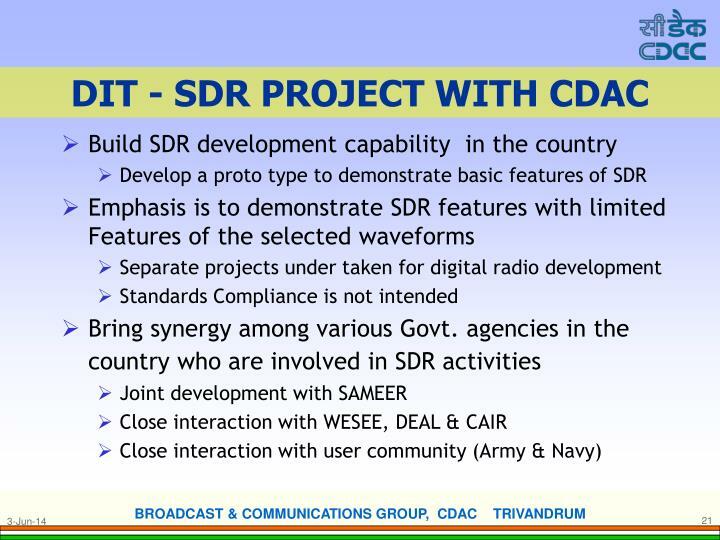 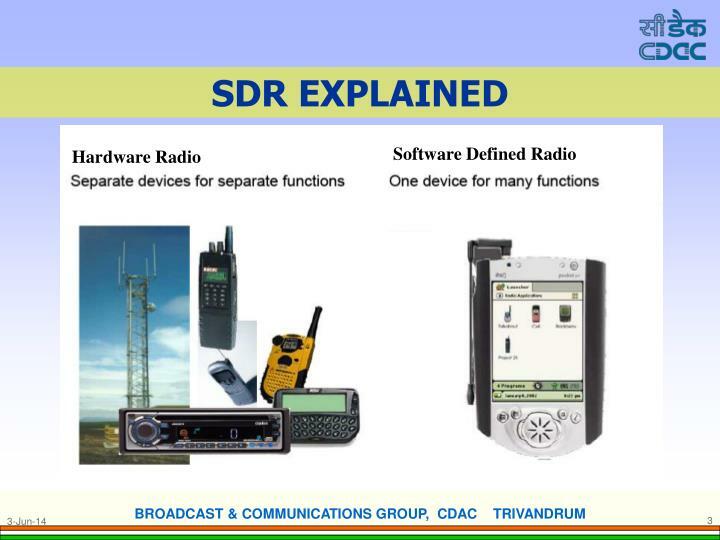 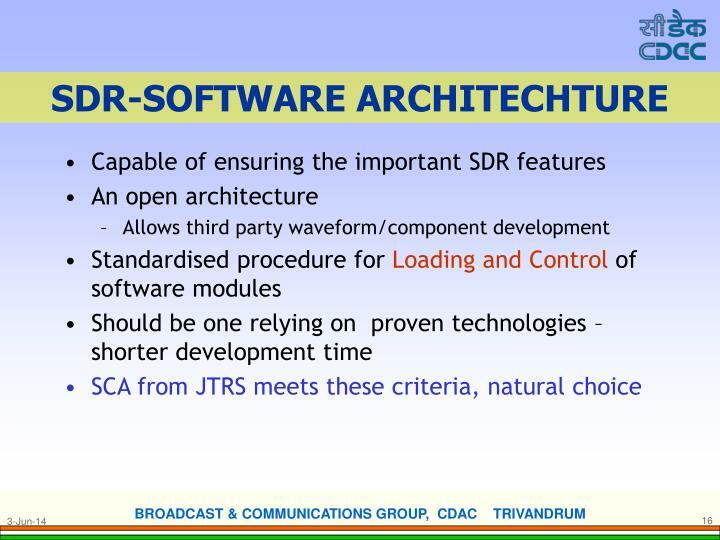 The Software Communications Architecture (SCA) is a US DoD (Department of Defense)defined framework standard that specifies rules on how to develop, deploy, and configure Software Defined Radio (SDR). 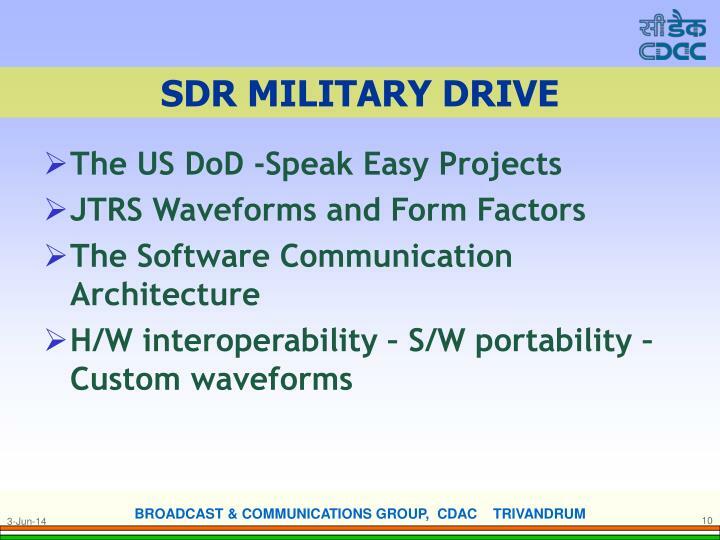 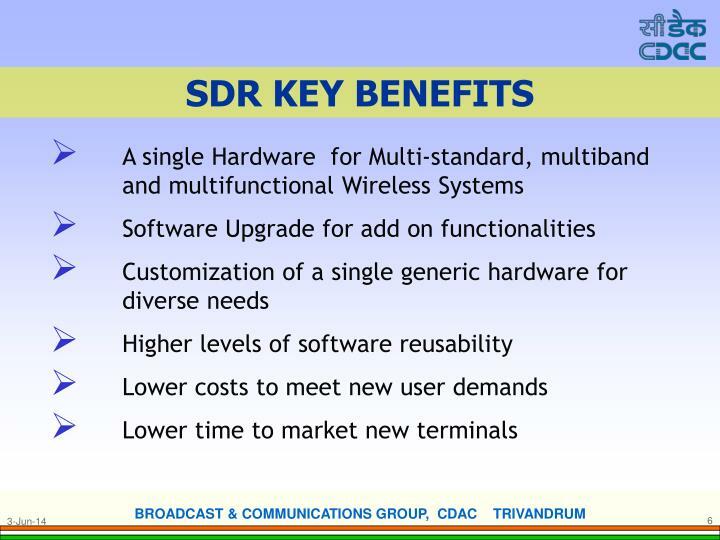 The main goal of the SCA is to reduce cost and increase interoperability in SDRs. 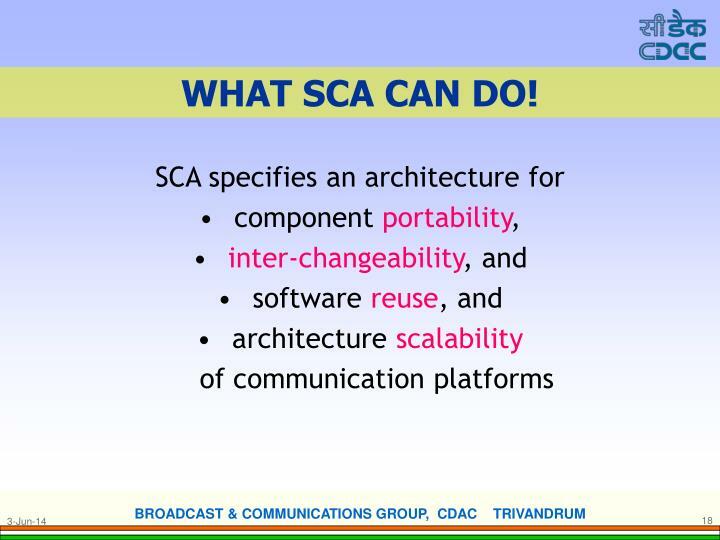 SCA is being adopted worldwide as a standard for military radios. 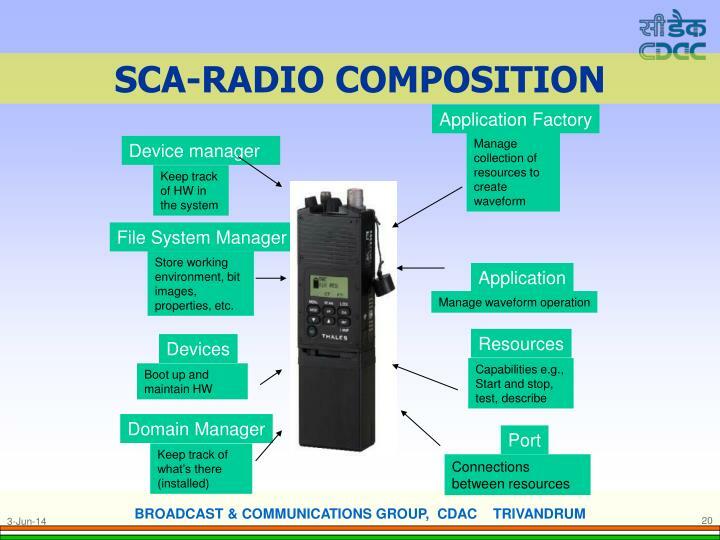 It is expected that future global programmable radios in other fields, such as public safety, will adopt the SCA. 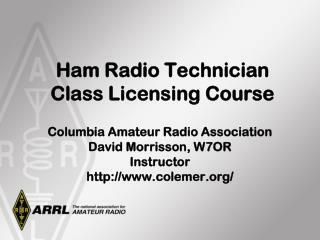 Store working environment, bit images, properties, etc. 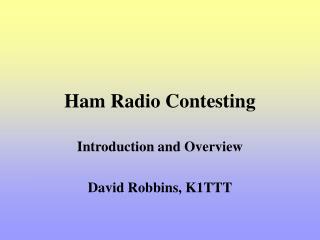 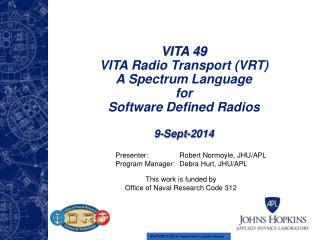 VITA 49 VITA Radio Transport (VRT) A Spectrum Language for Software Defined Radios -. 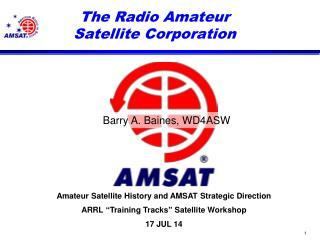 9-sept-2014. 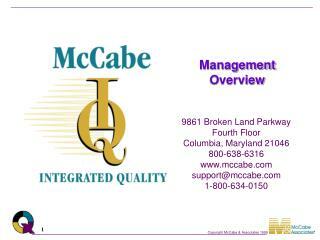 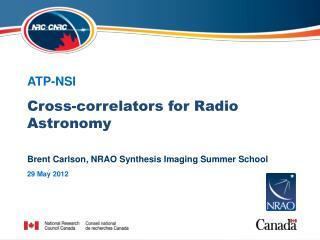 presenter: robert normoyle, jhu/apl program manager: debra hurt, jhu/apl. 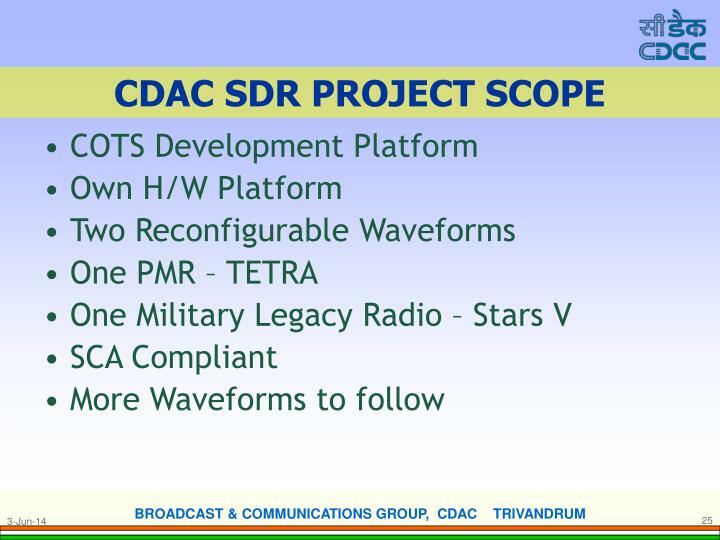 this work is funded by office of naval research code 312. 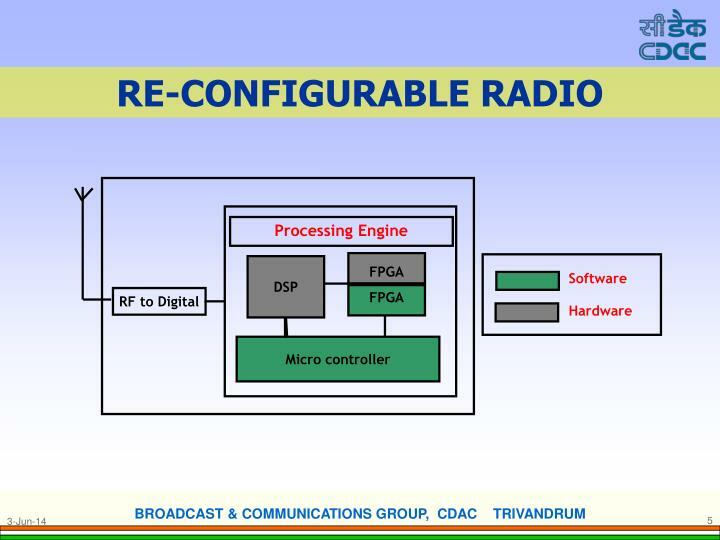 On Radio Technology -. 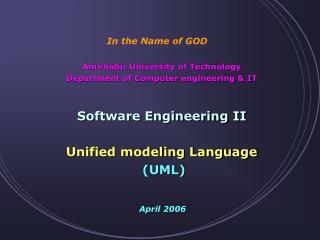 ee206a (spring 2003): lecture #3. mani srivastava ucla - ee department mbs@ee.ucla.edu. 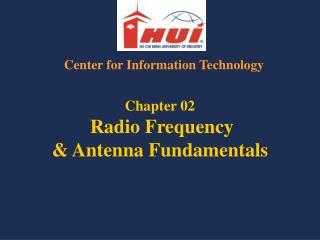 readings for this lecture. 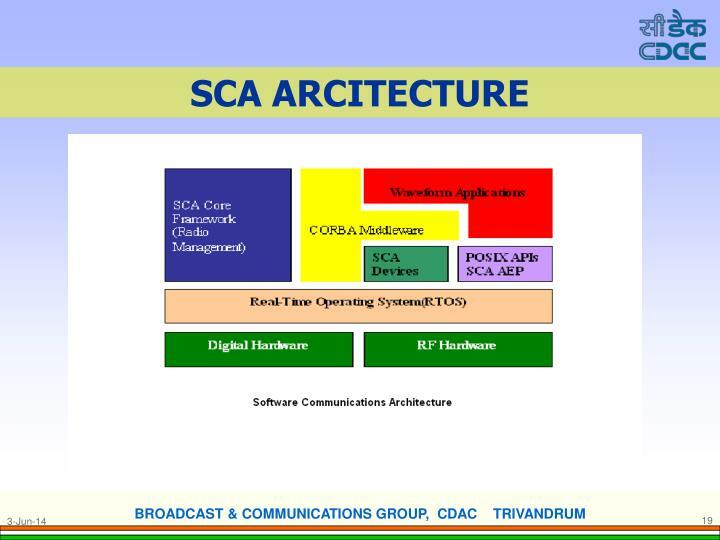 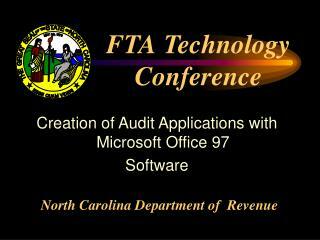 Software Defined Networking COMS 6998- 8 , Fall 2013 -. 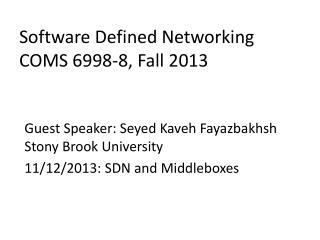 guest speaker : seyed kaveh fayazbakhsh stony brook university 11/12/ 2013: sdn and middleboxes. 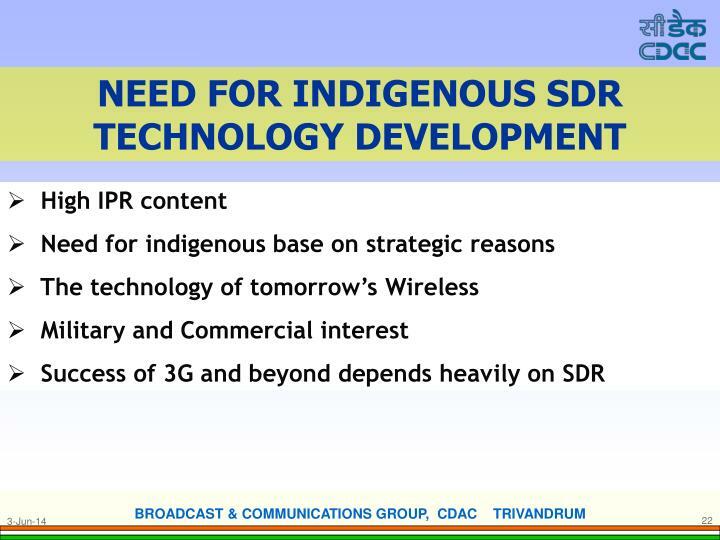 need for network evolution. 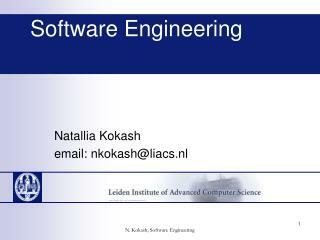 new applications. 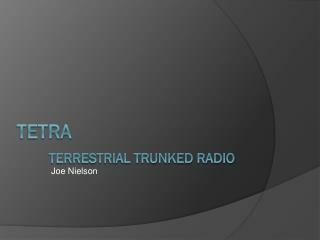 evolving threats. 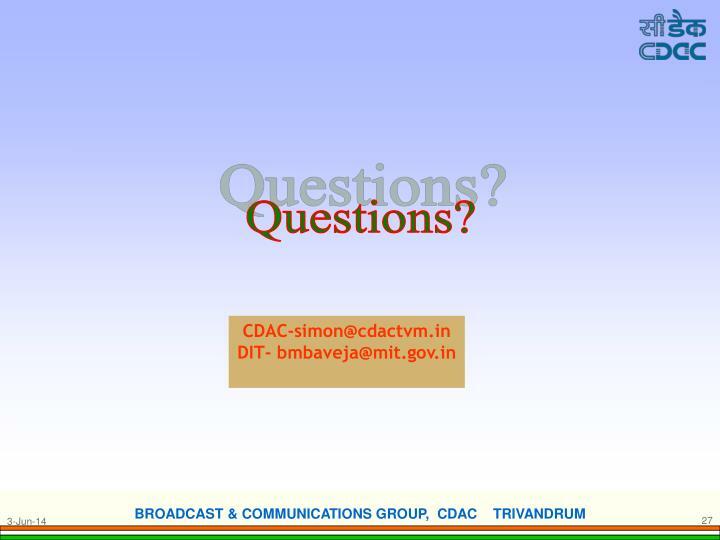 policy constraints. 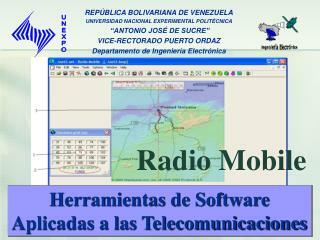 On Radio Technology -. 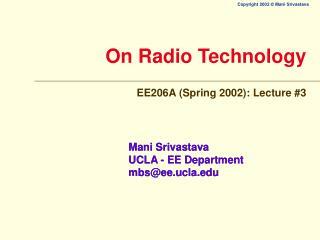 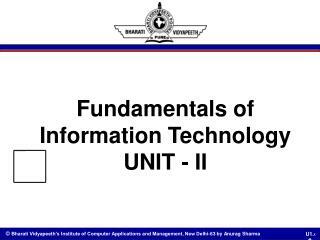 ee206a (spring 2002): lecture #3. mani srivastava ucla - ee department mbs@ee.ucla.edu. 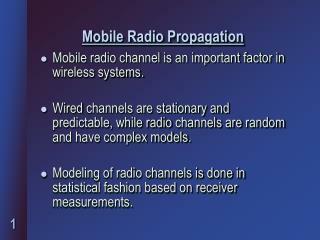 readings for this lecture.